At BondOriginators.co.za we have a tradition of integrity and service. These are a part of our Company's core values, and are reflected in the way we serve our clients each day. This consumer privacy statement reflects the policy of BondOriginators.co.za. It describes how "nonpublic personal information," which includes client financial information, may be collected and shared, as well as the steps we take to protect this information from unauthorized access. We limit employee access to nonpublic personal information to those who need to know this information in order to serve customer relationships. Employees are educated about the importance of privacy in accordance with our Standards of Conduct Policy. We maintain physical, electronic and procedural safeguards that comply with all applicable regulatory standards to guard your nonpublic personal information. We strive to maintain complete, current and accurate information about you and your application. We collect customer information so we are able to offer you mortage products and enhance the service we provide to you. * Service your application and process your requests efficiently and accurately. * Identify you and protect your application from unauthorized access or identity theft. * Inform you of financial services and choices that can meet your needs now and in the future. * Information we receive from you on applications or other loan or account forms, such as your name, address, and financial information. * Information we receive through your transactions or experiences with BondOriginators.co.za and its affiliates including partner mortgage origination companies and lenders. * Information we receive from outside companies, such as a credit reporting agency or real estate appraiser. * Service providers/companies who provide support services to help us administer your financial relationship. They may include data processing companies, companies that help us market our products to you or mortgage service providers acting on our behalf. These companies are legally obligated to maintain the confidentiality of the information we provide to them, and are restricted from using this information for any reason beyond the performance of specified services on our behalf. * Companies who work with us under joint marketing agreements to provide you with financial services that we do not offer ourselves but we believe may be of interest to you. In such cases, we may share information we collect, as described above, but only as necessary to offer these services to you. These companies/businesses are legally obligated to maintain the confidentiality of the information we provide to them, and are restricted from using this information for any reason other than what is specified in the agreement. Within BondOriginators.co.za and its affiliates or partners, information may be shared in order to service your relationship and meet your financial needs. BondOriginators.co.za and its partners work together to help you achieve your financial goals. We may share information among our affiliated companies to process your application, such as credit approvals, as well as to offer you additional financial services that may be of interest or value to you. As listed in this statement, BondOriginators.co.za and its affiliates encompasses a number of different companies that provide a wide range of quality financial services, including mortgages and insurance. In order to evaluate your needs and to introduce you to additional financial services, we are permitted to share among these companies information about your application or other experiences with us. 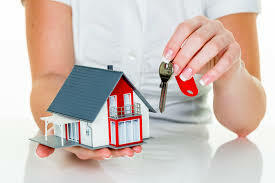 Assessing the market to find a mortgage bond product that fits the clients needs at the lowest possible interest rate. Applying for a lenders agreement in principle (pre-approval). Gathering all needed documents (payslips, bank statements, etc.). Completing a lender application form. Explaining the legal disclosures. Submitting all material to the multiple lenders.